superbreak.com The UK's number one provider of short break holidays, including theatre breaks and hotel deals. The scenery in Sutherland is nothing short of breathtaking. This is most evident in the Western Assynt region which boasts some of the most rugged and dramatic landscapes in the British Isles. Without any knowledge of its historical significance, Sutherland, in the most northern region in the Scottish mainland, seems strangely named. However, like many of the places in this historic region, its title reflects its Nordic past – Sutherland used to the southernmost land belonging to the Vikings. The scenery in Sutherland is nothing short of breathtaking. This is most evident in the Western Assynt region which boasts some of the most rugged and dramatic landscapes in the British Isles. The mountains of Sutherland and Assynt are popular with walkers. The unique combination of ancient mountain landscape, vast moorlands, spectacular cliffs and utter solitude proves a powerful magnet to many. Perhaps no other mountain inspires wonder like the magnificent Suilven which dominates the skyline of Assynt’s largest settlement, Lochinver. A testing 2389ft high with a name that is said to come from the Norse "Pillar Mountain", Suilven is how you imagine the mountains to look while reading a Tolkien novel. The difficulty in Suilven is not in the climbing, however, but just getting there. Setting out from Lochinver the walk to the foot of the hill can take up to three hours before you even begin the assent. 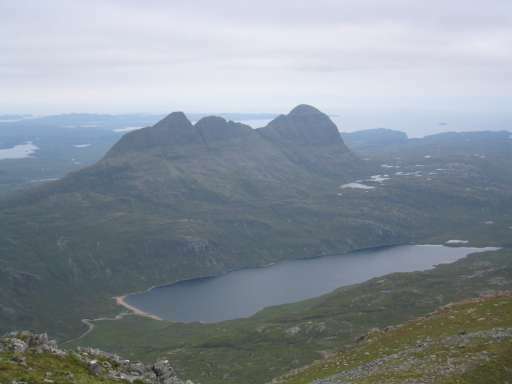 However, the views from Suilven’s majestic peak more than justify the long walk to her base. The fishing village of Lochinver could be described as the quintessential Highland village. Set on the banks of Loch Inver the town has a relaxed pace of life that slowly awakens during the summer tourist season. The village has a number of cafés, restaurants and shops as well as a substantial Tourist Information Centre which provides displays on local history, culture and the natural environment, plus the usual detail on local businesses, accommodation and other services. The best time of year to visit the area is between June and August when the weather is at its warmest. Most of the summer visitors stay in rented chalets or croft houses in the surrounding area. These are ideal for families or small groups looking for a base to explore the area. Activities within the village itself are limited although August sees the annual Assynt Highland Games and has a number of Ceilidhs (Scottish dances) in the village hall. 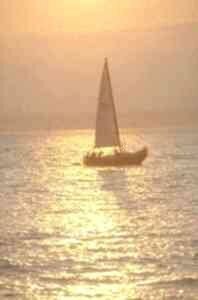 However, the main selling point of the area is, of course, the tranquility and the scenery. Arguably, the best thing to do on a warm sunny day is to drive three miles north to the unspoilt beach of Achmelvich. 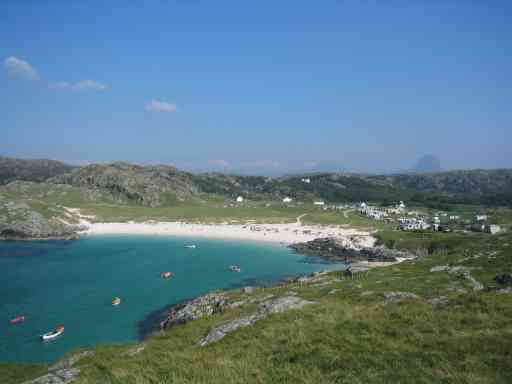 Achmelvich (meaning Field of Sand) is quite simply one of the most beautiful beaches you will ever see - and certainly not expect to find - in the UK. The clear turquoise water provides a beautiful contrast to the white sandy shores. The beach is an absolute haven for children and during the summer months it is common to see seals, porpoise and even dolphins swimming in the secluded bay. From May to September there is a small but busy campsite next to the beach where caravans are available for rental. Achmelvich is just one example of the many hidden gems that can be found in Assynt. Another excellent day trip is the small hamlet of Kylesku. Situated around 18 miles from Lochinver, the drive to Kylesku takes in some of the most awe-inspiring mountain views in Assynt which contrast wonderfully with the deep dark lochs to be found close to the roadside. The main attraction of Kylesku, apart from the excellent food found on offer at The Kylesku Hotel, is the opportunity to take boat trips to view the 650ft high Eas-Coul-Aulin waterfall, Britain's highest, and four times the height of the Niagara Falls. The boat trip itself is a great way to enjoy the local wildlife, with puffins being the main attraction and seals often following the small boats. In addition to sightseeing, Assynt attracts a lot of sporting enthusiasts. The area is particularly well known as a mecca for the angler. There are hundreds of fresh-water lochs holding wild brown trout throughout the area, feeding the two main Rivers of Assynt: the Inver and the Kirkaig. Sea anglers have also been coming to Lochinver and Kylesku for many years to sample the offshore fishing which has been considered as some of the best available in Britain. Achmelvich itself has proved popular with both sailors and wind-surfers as the sheltered bay provides ideal conditions in the summer months. The beach is also home to the unofficial “Achmelvich Links” golf course which was designed by visitors in the early 90s. The course boasts some spectacular views and whilst free to play, golfers are encouraged to take a mat with them to protect the area from erosion. Overall, Assynt is a beautiful corner of the world that will linger long in the memory of those who visit. The romance of the Scottish Highlands has captivated countless generations of visitors to the area. Assynt is a wonderful escape in a busy world and an ideal destination for families and independent travellers alike. If you enjoyed reading the above article then you will probably also enjoy Devon, England, also in Europe, and our latest articles covering the Orinoco Delta, La Mata, Marbella and Beijing.